Whether at home alone, with friends or chilling at the park, our wireless compact Bluetooth speaker with powerful sound will be your perfect companion! With the audio streaming function, you can play your favorite music from your smartphone, PC or tablet for 6 straight hours. In addition, you can answer calls hands free – thanks to the built-in microphone. 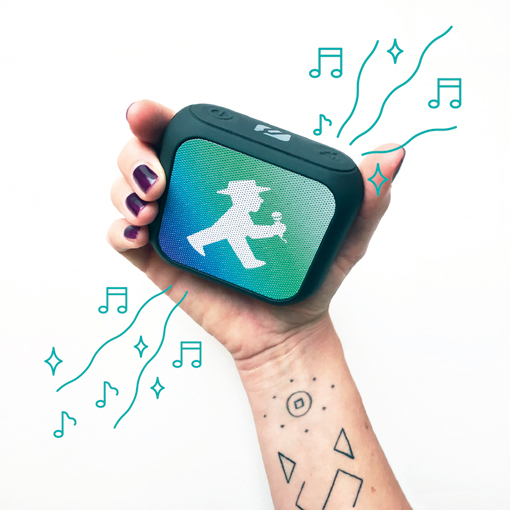 Get the STRAßENMUSIKER only for this month for € 24.95 and until supply lasts!